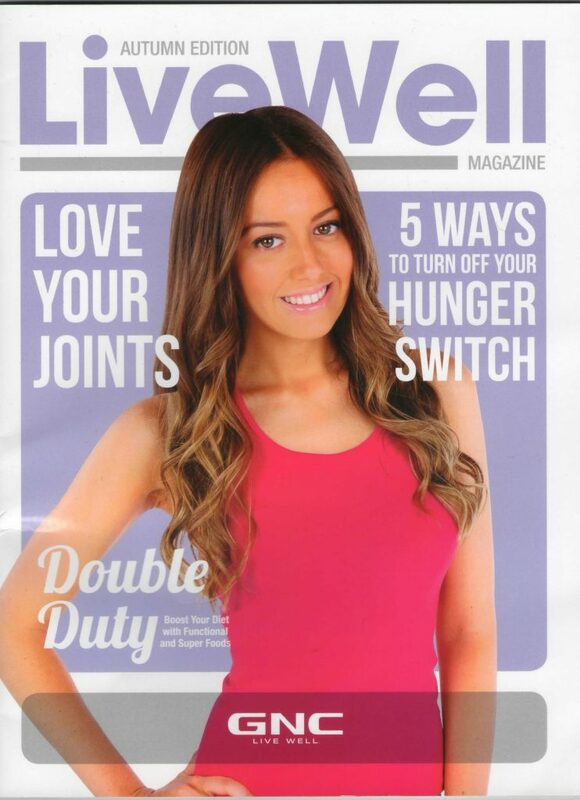 This is a great achievement for us and a testament to our great quality fitnesswear! Check out the high performance Bia Brazil Capris Amber is wearing in her Summer core workout shoot and matching Up-Vibe Tank. Quality fitnesswear that is breathable, will not fade or shrink and best of all looks great on! 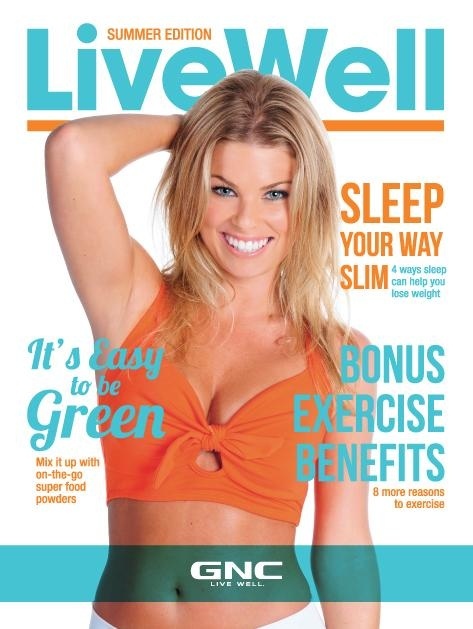 On the cover of GNC LiveWell Magazine, the model is wearing Action Brazil crop in orange and Top Brazil Capris in White. Beautiful fitnesswear for the Summer months.